The DOL and the IRS offers the equivalent of a “get out of jail free card”. The DOL and the IRS offers the equivalent of a “get out of jail free card”. The second quarter of 2014 has been an active month for the Department of Labor. Large and small retirement plans were the focus of the DOL’s enforcement actions. The DOL received judgment on May 30th for an Antioch, Illinois employer to restore $50,000 to an employee benefit plan for breach of fiduciary duty. On June 3rd the DOL reached a $5.25 million dollar settlement with GreatBanc Trust for breach of fiduciary duty. Of this agreement, Assistant Secretary of Labor for Employee Benefits Security Phyllis C. Borzi said “Others in the industry would do well to take notice of the protections put in place by this agreement”. If you have not reviewed your fiduciary duties in some time, now is the time. The DOL has set the precedent of compliance with this month’s settlements. However, the DOL offers the Voluntary Fiduciary Correction Program and the IRS offers theVoluntary Correction Program. These correction programs include any employee benefit plan that files a Form 5500, i.e health insurance plans and retirement plans. This is not a license to violate laws. But the IRS and the DOL do realize that a majority of the employers want to do the right thing. This is their offer to help employers get on the right track and back in compliance. The IRS has also just published a new series of forms for use in connection with the Voluntary Correction Program: IRS Form 14568 Series (Jan. 2014). To help you get a start on reviewing your fiduciary obligations we have developed a comprehensive Fiduciary Audit Checklist. The FAC covers eleven major sections of compliance and will help employers to set up a comprehensive fiduciary audit file. Having a paper trail of all documents and actions is essential in the event of a DOL or IRS inquiry. We’d like to invite you to take advantage of this free tool to make sure you are in compliance. 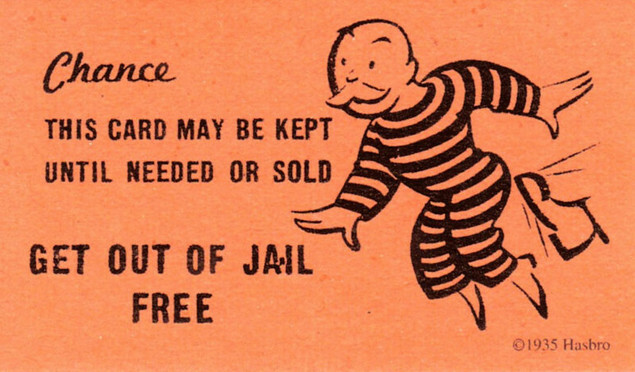 If you have problems, this may be your “get out of jail card”. So why not take advantage of it? It just might help you sleep better at night. To receive your free Fiduciary Audit Checklist (your “get out of jail free card”) click here. This is not legal or tax advice. If you have your own legal or tax counsel, please consult them. Advantage Benefit Solutions does provide up to 10 hours of free counsel from an attorney that specializes in ERISA matters for clients that have at least 100 employees participating in a health insurance plan that we service. To find out more about our offer for up to 10 hours of free counsel, please click here. 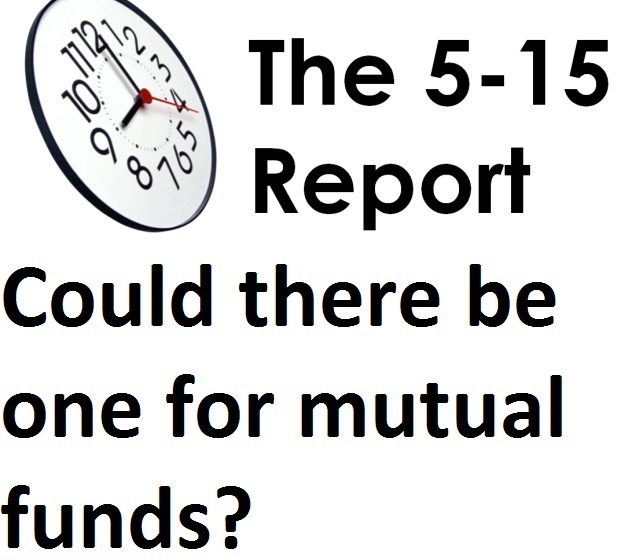 Could the concept of 5-15 Reports work for the investment industry? Target Date Funds sometimes known as Lifestyle Funds should be easy to understand. Due to steep losses in 2009, the Department of Labor is looking for comments to guide them in the regulation of these popular #401k investment options. When I do retirement plan enrollment meetings, employees tell me that they like the “Target Date” concept because it’s easy to understand. They can pick one investment that will gradually become more conservatively invested the closer they get to retirement. That is not what happened in The Great Recession of 2009. Target Date Funds that were supposed to be conservative dropped between 9% and 41% leaving hopeful retirees wondering how they would ever retire. My opinion is such a large spread occurred because Target Date Fund Managers invested between 35% and 80% in stocks. With just a little education anyone can understand why some of the funds fell so much in value. Here is my basic explanation of investment risk in a 100 words. There are three basic investment categories, stocks, bonds and money markets. Stocks are the most risky because they are ownership. With ownership goes the risk of gaining or losing everything. Bonds on the other hand are more conservative because they are a loan with two guarantees: the guarantee that the money will be repaid and the guarantee of an interest rate paid. The risk from bonds comes from how long the bond is for and who is guaranteeing the repayment of the loan (that is how trustworthy is the bond issuer). But don’t be fooled. Bonds can lose money too. After asking for public comments in 2010 on suggested regulations, the Department of Labor came up with several suggestions. One suggestion from the research committee was based on the theory that investors should be able to determine the suitability of the Target Date Fund based on a rating system that was based on theoretical risk traits. This is a methodology that does not even exist yet and that was one of the research committee’s best suggestions. I would assume that is why the DOL has reopened the issue for more public comments. I don’t think the problem lies with how Target Date Funds are advertised. Giving investors more material to read will not help the situation. The problem is in investor education and in how investment companies are allowed to allocate assets. If the DOL wants to spearhead regulation to protect investors, they should consider requiring employers to provide regular required employee education. Plus the DOL should consider collaborating with the Securities and Exchange Commission in regulating asset allocation standards for mutual funds to be classified as Target Date Funds. For example a Target Date Fund with an expected retirement date target of less than five years should be 80% in secured debt (bonds with assets to back their loan). Investing does not have to be complicated. Too many investment documents are written so that you need a law degree to understand them. Investment documents should be written with the 5-15 report strategy pioneered by Yvon Chouinard, CEO of clothing retailer Patagonia. Reports should to take no more than 15 minutes for the author to write and 5 minutes for the reader to complete.